The highly anticipated WPT Borgata Open begins this weekend: The WPT Championship Event garnered tremendous attention when tournament directors announced that the event’s buy-in would be lowered to $3,500 with a guaranteed prize-pool of $2 million. This marks the first time a major live tournament has decided to use one of the online poker world’s best marketing tools: the guaranteed prize-pool. The drastic decrease in the Main-Event’s buy-in –from $10,000 to $3,500– has caused many insiders to speculate if the tournament will lose some of the prestige that is normally associated with a $10k Championship Event. There is a certain amount of prestige that goes with winning a $10k buy-in tournament: Very few players have the bankroll to enter these events, which generally means less players, but better overall play. After all, can you name the winners from the World Series of Poker preliminary events? Now how about the Main Event, the $10k championship events, or the $50k H.OR.S.E.? Most casual fans will have a decent shot at knowing a few of the big tournament winners. 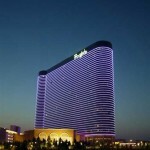 Dropping a tournament’s buy-in down to $3,500 has a tendency to cheapen the finished product: But, the Borgata needs to look at the bottom line, and as a poker fan I hope the lower buy-in will create a better tournament. This entry was posted on Friday, September 18th, 2009 at 6:18 pm and is filed under Poker News. You can follow any responses to this entry through the RSS 2.0 feed. You can leave a response, or trackback from your own site.